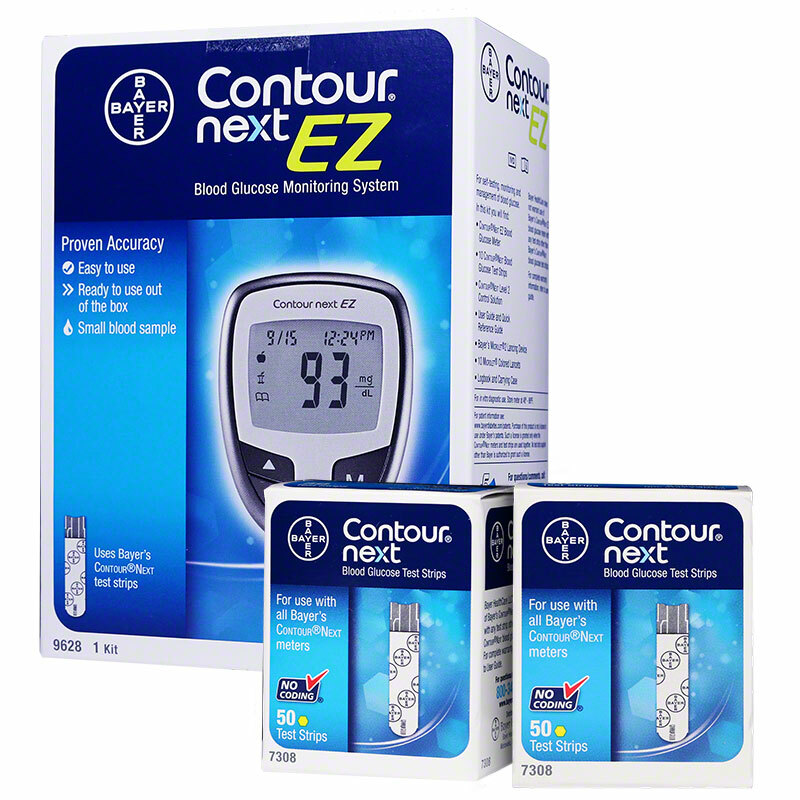 Bayer Contour NEXT EZ Glucose Meter Kit and 100 Bayer Next Test Strips have easy to use technology that evaluates a single blood sample 7 times for exceptionally accurate results. This product contains the Contour Next EZ Meter at no charge when you purchase 100 Contour Next EZ glucose test strips. Get a Bayer Contour NEXT EZ Glucose Meter Kit at no charge when you purchase 100 Bayer Next Test Strips is designed with easy-to-use features and utilizes high accuracy technology to help you remain confident in your test results. I liked the product, easy to use. Good test results with a minimal drop of blood. I would recommend to anyone. Customer Service recommended the Next Two meter. I just started using it, when I ran out of Breeze 2 test strips. You need a tiny drop of blood, and putting the test strip in the meter isn't as bad as I imagined. I do like it, although the Breeze 2 was so convenient with not having to load individual strips.